will have on them, particularly if they are paying or receiving maintenance (alimony) or may in the future. Therefore, we believe it is important to begin discussions of these possible changes as soon as possible. The current tax law may allow for more money to be available to the parties for maintenance purposes as the higher income party may not be taxed at a higher income rate because he/she is paying a portion of that income to the lower income party, who will claim that maintenance as income at a lower income bracket. Because the proposed Tax Reform Bill will no longer allow the higher income party the ability to deduct those maintenance payments on his/her tax return, he/she may be taxed at the higher income rate, and there will be less income available to the parties when calculating support. In effect, the proposed Tax Reform Bill increases the amount of taxes paid by a divorced couple then what they would have paid previously because the tax bracket of the payor does not change. This tax proposal has a far reaching effect to any case in the U.S., includingWisconsin, that requires one party to pay maintenance to the other party, regardless of when the final divorce order is entered. While an order to pay maintenance may exist before January 1, 2018, it will still be subject to modification in the future. Therefore, if either party requests that maintenance be modified, it will then be subject to the new provisions of the Tax Reform Bill. As a result, the paying spouse will then no longer be able to deduct maintenance on his/her income taxes. 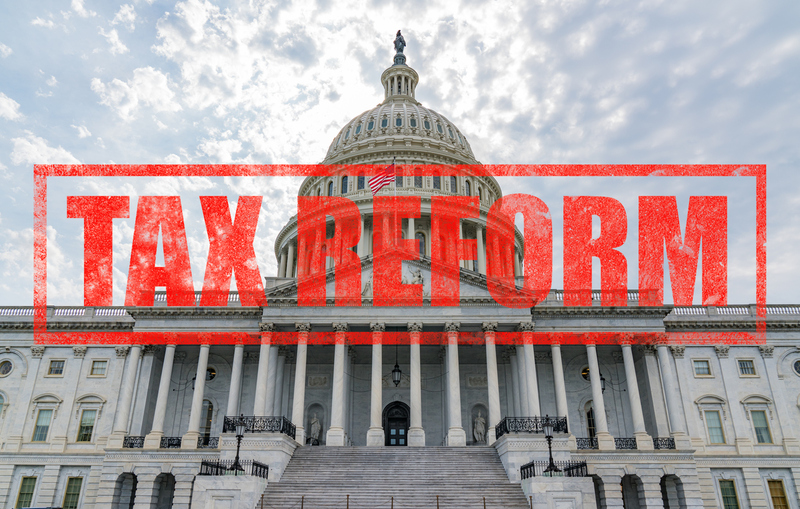 There may be other aspects of the proposed Tax Reform Bill that could help off-set the effect of these changes to the tax code for divorce couples, such as the proposed increase of the child and family tax credit, and the proposed change in the tax brackets for all filers. However, it is difficult to say what else may effect parties who are divorcing, or are divorced, as it is not clear what the final bill will include, and how some of those provisions may effect divorcing parties. These examples show why it is important to consider the proposed tax changes and resulting consequences related to support at the time of divorce, or when considering a modification of support. If you believe that you will need to address maintenance issues in your matter, whether it is before the date of divorce or in determining a modification of maintenance after divorce, call us at (414) 258-1644 to schedule a free initial consultation to discuss your case. In Wisconsin, spousal support (maintenance/alimony), child support, custody and placement (visitation) arrangements may be modified at any time under certain circumstances. Situations can change which may require the court to modify your order. A change in financial circumstances may warrant a modification of child support or maintenance; whereas a physical or emotional change in your children, a change in schedule or a move may warrant a modification of placement. There may also be times where you need the court’s assistance in enforcing orders. If you have concerns regarding a modification or enforcement of a court order, the experienced lawyers at Nelson, Krueger & Millenbach, LLC can assist you in evaluating your case and navigate you through the process. Give the a call for your free office consultation. 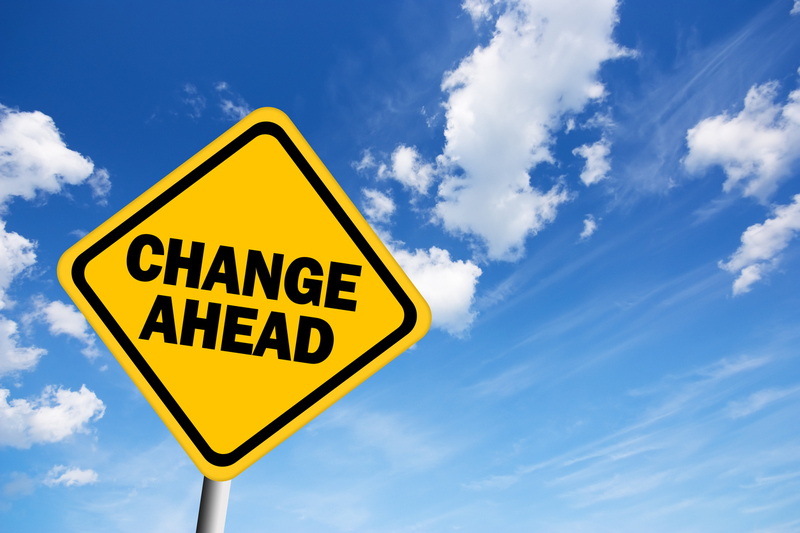 What changes can warrant a modification? When looking at financial modifications (i.e. child support, maintenance or family support), changes in income, job status, graduation of child or placement change may all be reasons to modify an existing order. What can I do if the other party is not following court orders? If your ex-spouse is not following the court order, you have options available to you. Our attorneys are experienced in litigating contempt issues in Milwaukee, Waukesha and the surrounding areas. There are remedies available to you. If you are due child support or a medical bill payment, the court can garnish wages or even order jail time for non-compliance. If placement is being withheld, the law allows for you to be awarded your attorney fees as well as make up time with your child(ren). Give the attorneys at Nelson, Krueger & Millenbach, LLC a call at 414-258-1644 to set up a free office consultation to see how we can help you in your post-judgment divorce or family law issue. When can you file as single, married filing jointly, married filing separately, or head of household, and which options offer the best possible benefits? Once your divorce is finalized, you are considered unmarried for the entire year of your divorce, this includes if you get divorced on December 31st. If your divorce is not finalized by December 31st, you will have to file your taxes as married filing jointly or married filing separately. There are rare occasions when you can even file head of household even though you are married. Determining your tax filing status, should be done with the assistance of an experienced tax preparer with the goal of maximizing the best financial result to you and your spouse. This may require you to work cooperatively with your soon-to-be-ex to determine the best means to file your taxes and to take advantage of the benefits offered by doing so. Which parent can claim the child or children for the dependency exemption and take the applicable tax credits offered to parents? Generally, the parent with primary placement of the child(ren) may claim the child(ren) on their tax return. However, parties can negotiate who can claim the exemption in divorce cases or the court can order the same. It is imperative to include in the Marital Settlement Agreement an award of how each party shall claim the child(ren) on their respective tax returns. What do parents need to claim the child(ren) as a dependent? Parents must complete an IRS Form 8332 “Release/Revocation of Release of Claim to Exemption for Child by Custodial Parent,” to allow the other parent to attach it to his or her tax return if they are claiming the child(ren) Form 8332 is the document that allows a parent to claim a child on his or her taxes even though he or she may not fit the requirements under IRS rules to do so. Do I have to report child support as income? Child support payments are not deductible by the paying parent or taxable to the parent receiving the child support. Can I deduct maintenance payments? Maintenance payments (or alimony) are generally tax deductible by the party making the payment, and must be claimed as income by the recipient. It may be helpful to include a reference to the federal tax code IRC 71 in your divorce decree can ensure that the parties are aware of their responsibilities regarding maintenance payments. Do I have to pay taxes on assets awarded to me in my divorce? A property transfer between divorcing spouses does not create any additional tax liabilities, if it is ordered in the divorce decree. Do I have to pay taxes on retirement assets awarded to me in my divorce? In order to avoid tax consequences when dividing a retirement account incident to a divorce, a Qualified Domestic Relations Order or QDRO, may need to be drafted after the date of divorce to instruct the retirement plan administrator to divide the benefits as ordered by the divorce decree. If the recipient spouse does not liquidate such funds and follows the IRS rules to invest such funds into a qualified plan, there are no tax consequences to such a transfer. Will I be audited post-divorce? You risk being audited if you do one or both of the following: 1. both parents claim the same child on their taxes, 2. The amount of maintenance the recipient lists on line 11 of his or her 1040 does not match the number that the payor lists on line 31a. It is always good practice to speak to your ex-spouse before filing your taxes to make sure that you are claiming the correct child(ren) and that the amount of maintenance listed as received on your tax form matches the amount of maintenance paid. There are several considerations in determining what options are best for you to maximize your tax benefits and to avoid any additional tax burdens after a divorce. Because each divorce is unique, it may be important to speak with an attorney or a tax professional to best address the tax consequences of your proposed divorce agreement before finalizing your divorce. If you are getting a divorce and have questions regarding the tax consequences of the issues outlined above, call us at (414) 258-1644 to schedule a free initial consultation to discuss your case. What if I Married my Spouse Twice? How Does that Affect Maintenance in Wisconsin? Maintenance, or spousal support, is most often ordered by the court from one spouse to another when one spouse was financially dependent on the other during the marriage. Typically, maintenance is intended to be “rehabilitative” and used to help the financially dependent spouse work towards a place where he/she can support his/herself. The division of property made in the divorce. The earning capacity of the party seeking maintenance, including educational background, training, employment skills, work experience, length of absence from the job market, custodial responsibilities for children and the time and expense necessary to acquire sufficient education or training to enable the party to find appropriate employment. Any mutual agreement made by the parties before or during the marriage, according to the terms of which one party has made financial or service contributions to the other with the expectation of reciprocation or other compensation in the future, where such repayment has not been made, or any mutual agreement made by the parties before or during the marriage concerning any arrangement for the financial support of the parties. Length of the marriage is one of the main factors used in determining maintenance, so it prompts the question, what happens if you marry the same person more than once? This may seem like a unique circumstance, but in our line of work we see situations like this more often than you would think. When parties have been married to each other more than once, the court can look at the total years of marriage when determining the maintenance amount granted. The court may look to current conditions in determining maintenance, as it is not legally bound by the terms of the first divorce. Please note, if an ex who is receiving maintenance payments (“payee”) remarries another person who is not a former spouse, maintenance ends automatically under Wisconsin law if the person obligated to make payments: (1) has proof of remarriage, (2) requests that the court vacate the current maintenance order, and (3) sends a copy of the request to the payee. If you have any questions regarding maintenance, please contact our office at 414-258-1644 to schedule a free initial office consultation or visit our website for more information. If a party intentionally and without legal justification disobeys a court order, this is called being in contempt of court and the law provides a remedy through a finding of contempt. In family or divorce actions, the most common examples of contempt are when one party fails to pay child or spousal support or if one party refuses to honor the custody and placement (visitation). In Wisconsin, to address or obtain relief from the court for the contempt, the party who is harmed by the violation of the court order must file a Motion with the court describing the contempt in order to have the matter heard. This Motion must be personally served on the violator at least five (5) business days before the date of the hearing. If the violator is found in contempt, the court has the authority to order the violator to correct the contempt and also to order sanctions or penalties as a result of failing to comply with the court order. This may involve more than one hearing because the court must allow the offender an opportunity to obtain counsel. The court must also set “purge conditions” which is an opportunity to purge or correct his or her contempt by setting tasks to be completed or payments to be made in order for the violator to avoid further punishment. Some of the sanctions available to the judge are payments, wage garnishment, attaching or seizing assets or even jail time. The court also has broad discretion to come up with other, more creative solutions to force the violator to comply with the terms of the decree. For example, if a party was court ordered to sell the marital residence by a certain date but did not do so, the court may give the violator a certain period of time to sell the home in order to avoid a finding of contempt. If the violator is successful in selling the home in the time ordered by the court, the violator completed the appropriate purge condition and would not be found in contempt. The harmed party may also ask the court to order that the violator be responsible for paying the harmed party’s attorneys fees and other expenses associated with the Motion. The court will often do so as a way to punish the offender. It is important to note that if a violator is found not to have an ability to pay or comply with the court order, for whatever reason, then he or she cannot be found in contempt. For example, if someone becomes ill and cannot work, then they are not in contempt for failing to pay support because they do not have the ability to pay. Or, if someone tries to sell a home pursuant to court order but cannot do so, they are not in contempt because they did try to comply with the order. If you are in a contempt situation, whether you are the party seeking relief or the party who is out of compliance with the court order, it is best to consult with an experienced family law attorney to assist you for the best possible results. For more information or a free initial consultation if you are in our practice area, visit our website at www.nkmfamilylaw.com or contact us at 414-258-1644. If a party gets remarried following a divorce with children, the court will not consider the new spouse’s income when determining child support nor can the court order the new spouse to pay towards child support or maintenance. Child support is based upon a parents’ income, the time the children spends with each parent, and whether a parent is financially supporting other children. The court may modify child support based upon a substantial change of circumstances sufficient to justify revision of the current child support order. 4. Any other factor the court determines is relevant. Based on the above, remarriage is not sufficient to show a substantial change of circumstances warranting a revision of child support. However, there are limited circumstances in which a court may consider the fact that a party has additional income available to him or her through a remarriage. As cited above, subsection 4 is a “catch-all” provision that allows the court discretion as to the factors it weighs when determining child support. Therefore, for example, if a party claims he cannot afford to pay additional child support, the court may determine his general economic circumstances have been improved due to a remarriage and additional spousal income as a reason to modify child support. Or, if a payee claims that she needs additional support because she cannot meet her budget or the needs of the children, the court may consider the fact that a new spouse contributes to that budget when reviewing same. Maintenance is entirely different. For maintenance, remarriage is a determining factor that stops maintenance payments to the payee if the payer: (1) has proof of remarriage, (2) requests that the court vacate the current maintenance order, and (3) sends a copy of the request to the payee. Remarriage of the payor does not affect maintenance payments at all and is not grounds for the payee to seek additional monies. The bottom line: a new spouse has no obligation, either directly or indirectly, to support a child of a former marriage/relationship or to a former spouse. There is no direct effect of remarriage on a child support or maintenance order. Can I Stay on My Ex-Spouse’s Insurance After a Divorce or Legal Separation? This is a very common question that we often hear in a divorce action. The simple answer to this question is no. This has nothing to do with the divorce or legal separation but, rather, the rules and procedures of the insurance provider. Even if your ex-spouse wanted to keep you on his or her insurance after a divorce, the insurance company will not allow that. In some cases, the insurance company will allow a legally separated spouse to stay on an insurance plan. In fact, this is one of the most common reason that spouses would typically legally separate, as opposed to divorce. However, each plan is different and you have to check with the insurance company. Pursuant to federal law (COBRA), ex-spouses must be given the choice to stay on the plan for up to 36 months. COBRA law only applies to employers with more than 20 employees. If an employer has less than 20 employees, they still sometimes offer continuation coverage at their discretion or some states require same. If a spouse chooses continuation coverage, it would be at their own cost. COBRA coverage is often very expensive and you should find out the cost prior to finalizing your action. Sometimes, your ex-spouse can be ordered to pay the cost of your future health insurance as a form of alimony or maintenance. However, this would be up to the parties to agree to and/or the court to order. Health insurance is a very important consideration in a divorce or legal separation. Make sure you check into all of your options prior to finalizing your action. To find out all of the consequences of an action for divorce or legal separation in Wisconsin, please contact us at 414-258-1644 or visit our website for more information.